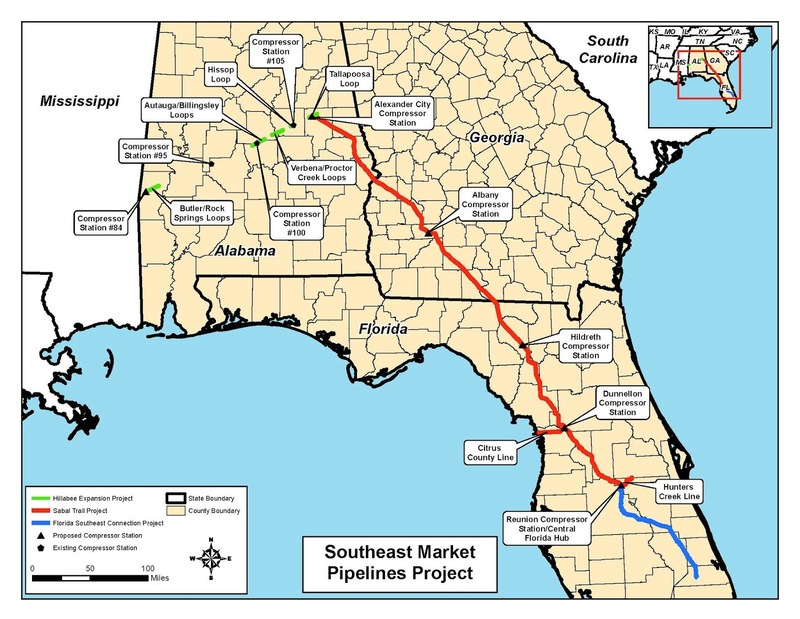 On March 23, Sierra Club and the Gulf Restoration Network asked a federal agency to halt a Southeastern U.S. fracked gas pipeline that spans Florida's Sabal Trail until misinformation is corrected and an additional study is completed. 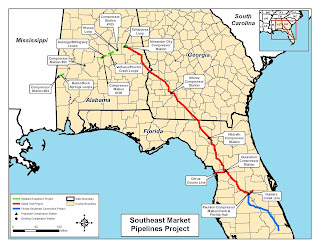 In a 97-page document, the two groups filed a request urging the Federal Energy Regulatory Commission (FERC) "to correct its use of materially false or inaccurate information to authorize the Southeast Market Pipeline Project; prepare a Supplemental Environmental Impact Statement (SEIS); and stay (halt) construction and operation of the Project pending completion of these actions." According to the filing, misinformation prejudiced the Commission’s consideration of the project's impact on the public and the environment, and under the Natural Gas Act and the National Environmental Policy Act, the Commission has a duty to cure (fix) the misinformation. A cure would be to have a cease and desist on all construction activities and begin an independent SEIS. Sierra’s national staff is trying to stop Sabal Trail with a lawsuit, though the pipe is nearly complete. That hasn’t stopped state members of the group from campaigning to turn public opinion against the pipe and fracking. A substantial number of violations and non-compliance reporting have been done by citizens across the state of Florida on the Sabal Trail and Florida Southeast Connection pipelines projects. Witnessing construction activities have led to serious concerns about this pipeline corridor being constructed in wetlands, karstic soils and through protected waterways.